Our challenge was to increase the visibility of The State Library of Victoria’s digital collections and enable library users - whether onsite or offsite - to explore, discover and use them. OzCHI24, is an annual international student design competition run as part of the OzCHI conference. At the beginning of the hackathon, participants will receive a design brief which they have 24 hours to solve. Due to time constraints, primary data or user research gathered from external participants is not allowed. At the end of the 24 hours, teams submit a 2–3 minute video showcasing their design, and a draft paper explaining their design process and concept. In the end, we were named as winners and were flown out to Melbourne to present our research at the OzCHI 2018 conference, the largest gathering of HCI researchers in the southern hemisphere. The digital library as place that libraries are less likely to function as physical storages but places that enable people to socialise, collaborate and co-create (Pomerantz et al., 2007). Serendipity takes place when people are “always making discoveries, by accidents; sagacity, of things which they were not in quest of” (Remer,T.G., 1965). Translating this experience to a digital product is a challenge with limited screen size and dimensionality. The Bohemian Bookshelf is considered as a good interactive information visualization since it categorises the materials by book color, timeline, pile, and author name in order to create ‘adjacency’. The Cooper Hewitt Design Museum interactive pen uses digital devices to bridge the gap between the physical resources and the viewers. It allows users to store the information of exhibits or art pieces into the pen by simply sensing the chips built underneath the artwork. After immersing ourselves in the prompt and literature, we decided to run wild brainstorming sessions to get ideas flowing. We also did online research on user personas at libraries and journey mapped some of their experiences to help inspire new opportunities for innovative solutions. Since there was a restraint on interviewing outside users, we had to use our background research and personal experiences to build our foundation. Once we felt comfortable with who our users were and what their experiences were, we went back into wild brainstorming sessions until we ideated an idea we felt fit the need of users and addressed pain points in our journey maps. With all our ideas on the white boards, we evaluated and reframed our ideas through the limitations of the project and current technology. We used a decision matrix with the identified criteria in the prompt to choose our best idea and progress into the design and deliver phases of DigiView. Through storyboarding and a low fidelity prototype we could narrow down and define what we wanted the experience and interface design would look like. Before going into high fidelity designs, we mock tested our solution by roleplaying our personas developed earlier; the results helped us identify some problems earlier and iterate in low fidelity further. 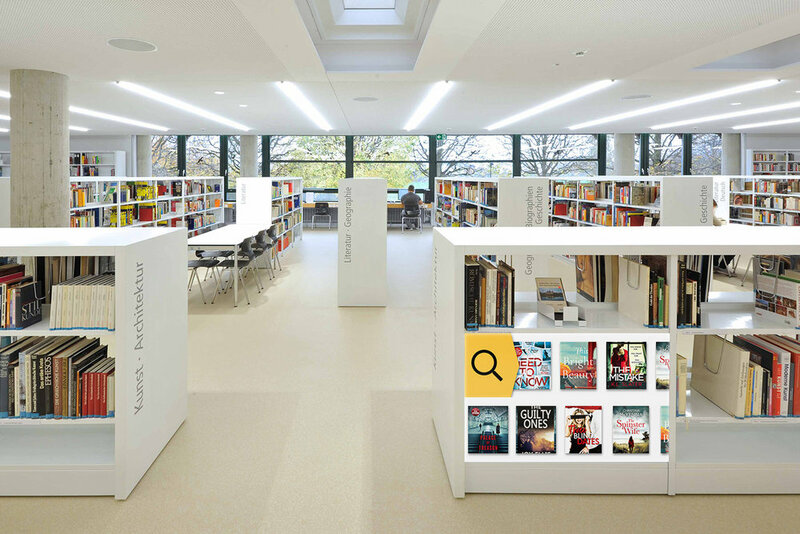 DigiView serves as the bridge between the physical and digital sphere for libraries with the implementation of interactive touch screens to improve accessibility of digital content through the physical touchpoint of bookshelves. They allow library users to browse physical and digital collections, search for content and checkout digital and physical material at the bookshelf itself with its companion application. The intent is to positively augment the physical library experience rather than replace it by maintaining the importance of libraries as a public space (Pomerantz et al., 2007), encouraging serendipity through physical exploration and preserving traditional browsing habits via the adjacency of digital and physical content. Adult & sensitive materials will need to be censored on the screen, how can we use the companion app to verify and allow access to these materials? Some library can’t afford screens of this dimension, how can we make this technology modular and adaptable? Some users may not have cell phones for checking out digital content, how can we make this solution successful for libraries of every size? With any new browsing technology comes the potential for stealing & piracy. How can we ensure digital content isn’t stolen? We won the OzCHI best student research award and got published in ACM! Our design is successful in addressing the specific issue of creating a digital platform for library collections that compliments it rather than replaces its pre existing physical form. The key strength and innovative factor of DigiView is its simplicity of merging physical and digital in a natural way that lends itself to onsite implementation. 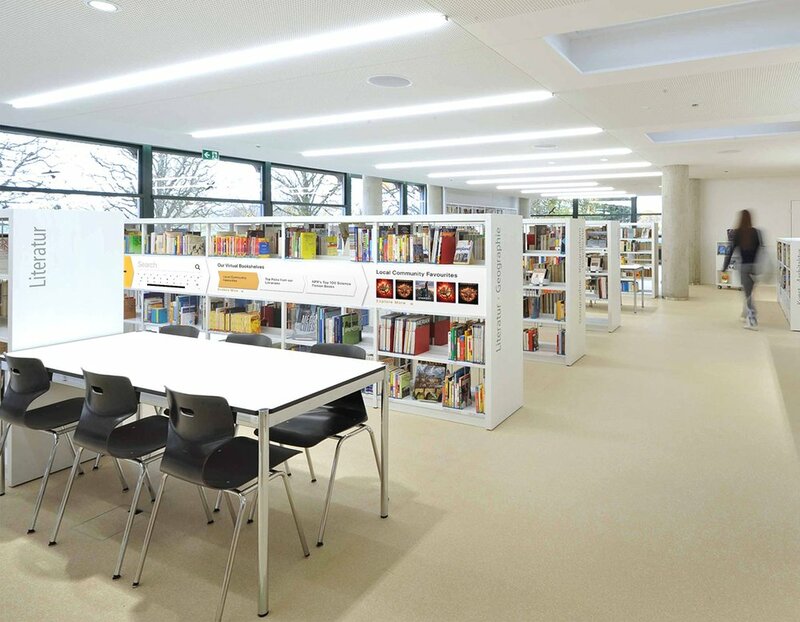 Specific requirements such as having an onsite and offsite aspect were addressed with the screen interface and companion app as well as ensuring that the library continued to be a community hub. We also note that there is the potential to implement DigiView screens in remote and rural libraries in the future. 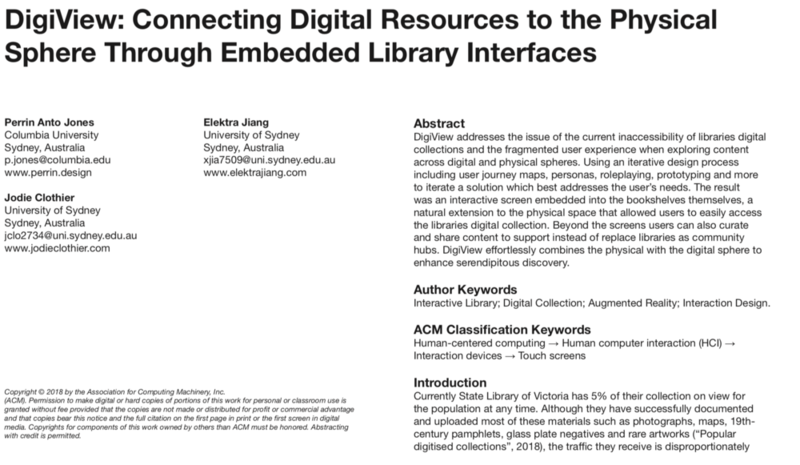 Successfully embedding an interactive digital interface such as DigiView in such a traditionally non-digital and physical sphere such as libraries has the potential to inspire other design practitioners to further explore merging digital and physical in a variety of use cases. Whilst DigiView’s purpose is to positively enhance the traditional, purely physical library experience there is the potential that it could disrupt the very community it aims to provide for by subverting the tranquility of library spaces and in regards to the grey area of enabling piracy if not correctly implemented. These are issues that can be addressed in the future and corrected in later iterations as the benefits currently outweigh the negatives.